At The Basket Company we supply an extensive collection of quality wicker baskets including a beautiful range of wicker storage baskets. If you are looking for storage solutions for your clothes, bedding, blankets, toys or anything else, then look no further. 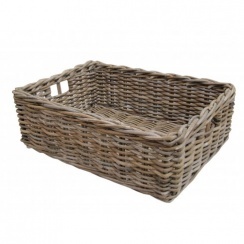 Our range of wicker baskets offers versatile storage solutions for both homes and businesses. With a huge selection available in many different materials such as willow, seagrass and wicker, we can provide our customers with a great range of products suitable for any room in your home. 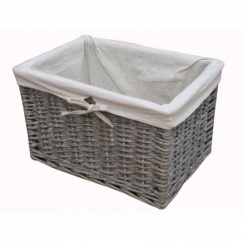 We offer a full range of wicker storage baskets with lids, wicker storage chests and trunks, shoe storage solutions, wicker storage baskets for the bathroom and so much more to help make your home a more organised place to live. Nobody wants ugly plastic boxes lying around their home in a bid to make their home look tidy which is why we stock the perfect storage solutions, not only for practicality but for interior style too. 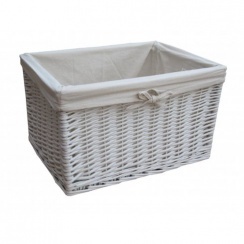 Our wicker storage baskets are handmade with selected products sold with a removable washable liner to avoid clothes or bedding from getting snagged. Explore our stunning collection of wicker storage baskets online today and add a rustic touch to your home in no time. 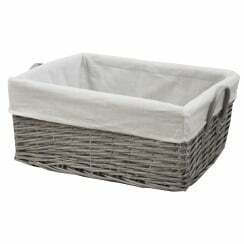 If you enjoy browsing this range you may also want to take a look at our collection of underbed storage baskets.